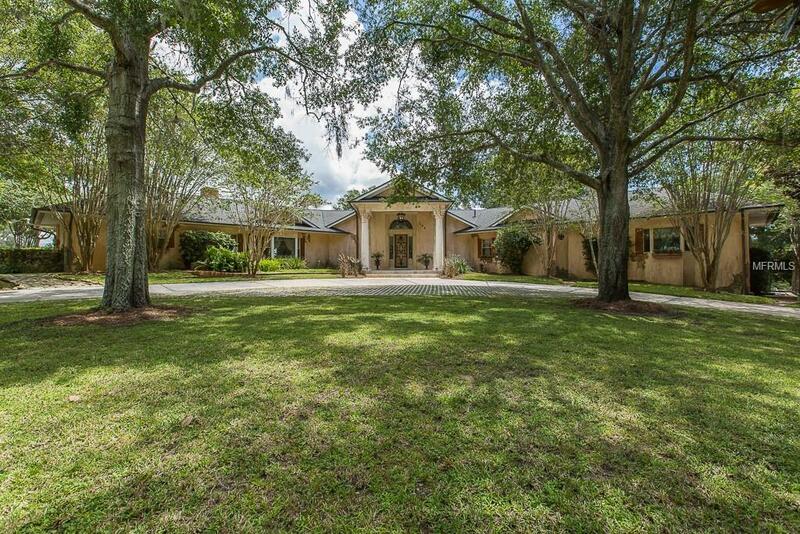 Welcome home to one of the most luxurious equestrian estates in Central Florida! 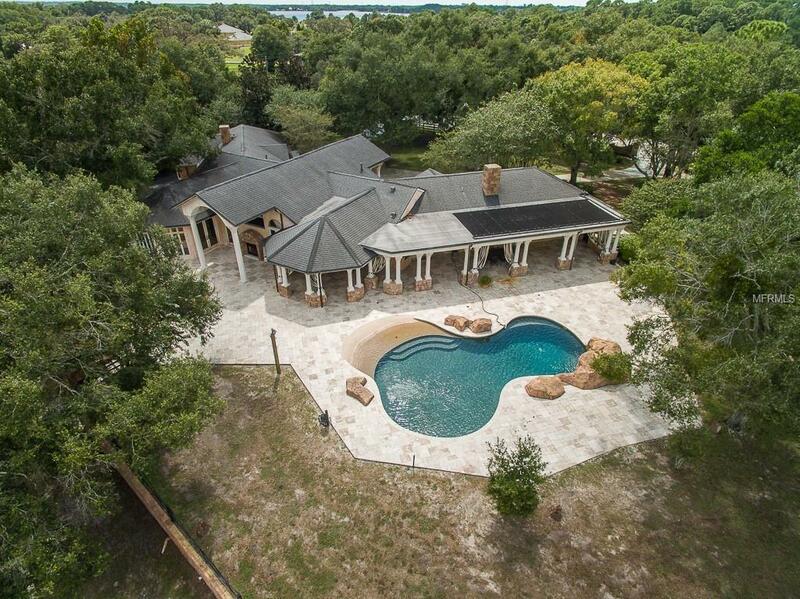 Situated on just over 7 acres, this gorgeous property boasts a clay hydrogrid tennis court, horse stables, training arena, custom pool with waterfall and so much more! 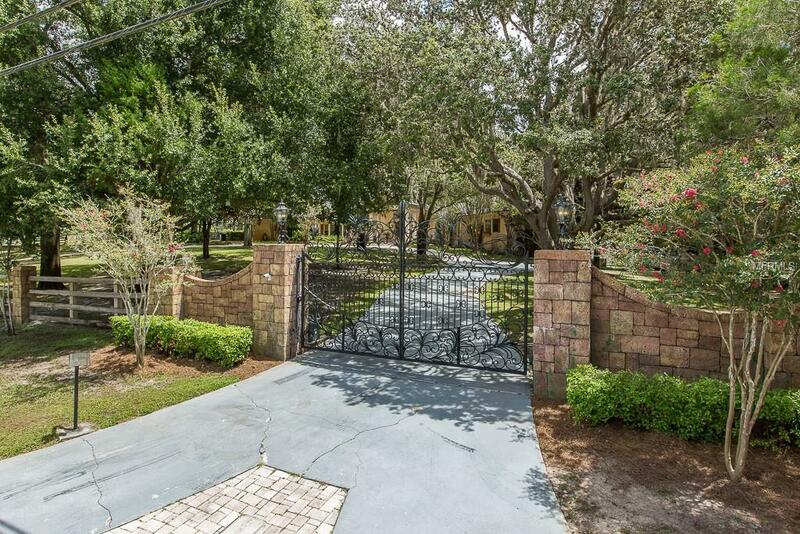 The exterior of this home was designed and constructed by the same architect of Disney's Cinderella Castle! 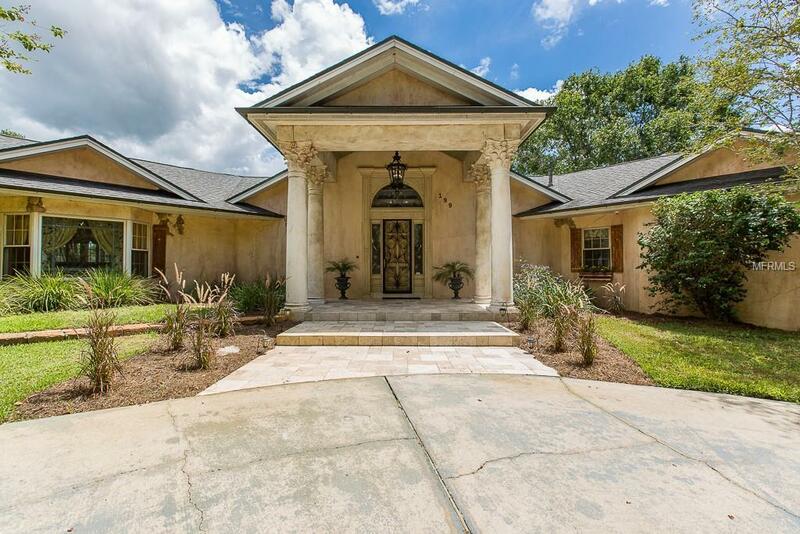 As you step into this 5 bedroom 5 1/2 bath home, you're greeted with vaulted ceilings and imported travertine floors. To the right of the home you have the master suite with 2 additional rooms with a staircase that descends to the lower level, where there is an oversized laundry room and bonus room that can be used as a gym or dance studio. In addition, there is an executive style office with another bonus room right off the great room with views of the grounds. To the left of the great room you have the formal dining room and then the gourmet eat in kitchen which is the epitome of Southern Charm! Through the hallway off the kitchen you have 2 additional bedrooms with views of the spectacular pool. Fire up the double ended fireplace and enjoy it from both the great room inside or while soaking in the opulent hot tub outside. Have company? There is a separate in-law suite with observation deck situated above the 6 car garage. The details and amenities this property has to offer are far beyond what can be put into a description, this estate is a must see in person!